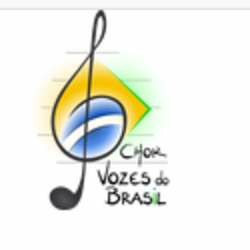 Three Amazing Brazilian Songs - Join a wonderful Workshop! Music teacher, choir director, vocal arranger and scene director for performing music, Dr. Patricia Costa is dedicated to choral singing and, since Protected content , as youth choir director, having joined important Brazilian choirs as Coro de Câmara Pro Arte (directed by Dr. Carlos Alberto Figueiredo – RJ) and Garganta Profunda (Marcos Leite – RJ) and, abroad, Southern Illinois University Choir (Robert Kingsbury, IL, USA) and Indianapolis Symphonic Choir (Dr. Eric Stark, IN, USA), among others. PS. If you cannot join, please do let me know 2 days before and cancel your attendance so that other people can take your place. Thank you and looking forward to meet you there.